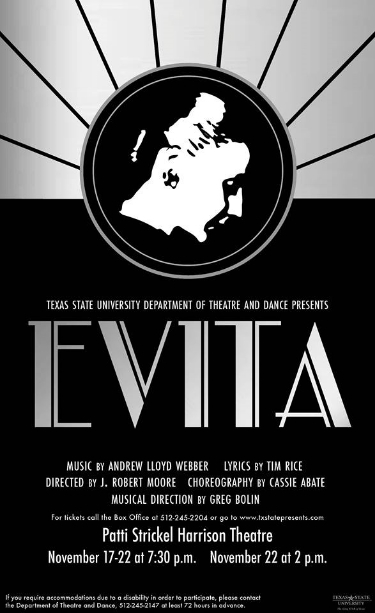 Michael starred as Juan Perón in Texas State University's production of Evita. Directed by Jimmy Moore; Choreographed by Cassie Abate. Performances ran November 17-22, 2015.